The outcome is always the same. Every item Meghan is wearing sells out, usually within minutes, sometimes seconds, of her appearance — cheaper copycat items, too. Websites frequently crash under the strain. So what is it about Meghan that makes her wardrobe so covetable and sends clothes flying, quite literally, off the shelves? Fashion experts in Toronto, Meghan’s home for the six years between 2011 and 2017 when she was filming legal drama Suits, all use the same expression, ‘effortless chic’, to describe her style. 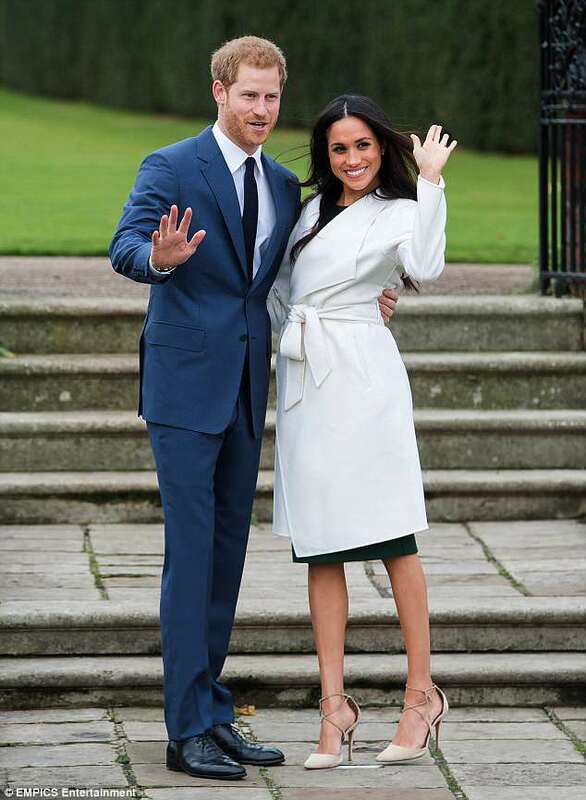 ‘She always looks like she’s not trying,’ says John Muscat, founder of Line The Label, the Canadian brand behind the £750 white wrap coat Meghan wore to mark her engagement to Prince Harry last November. John, 45, has been dressing Meghan for five years, after being introduced by her best friend and style adviser Jessica Mulroney. He made sure she had a collection of clothes from Line to bring to London when she moved here last year. He knows only too well the astonishing — and highly lucrative — impact of the Meghan Effect. His wrap coat sold out within 20 minutes of the American actress’s appearance on Harry’s arm at Kensington Palace. ‘It was insane,’ recalls John. ‘The phone was ringing off the hook with international press requests. I did 12 hours straight of TV, phone and email interviews. It was the craziest thing I’ve ever seen. In gratitude to Meghan, who has put his label firmly on the international fashion map, John has renamed the coat — now back in stock — The Meghan. When, in February, Meghan carried the £425 East/West mini bag, it, too, sold out within minutes and the waiting list for new stock grew to 1,000 people.A few blocks away in downtown Toronto, is Sentaler, which also has the Meghan seal of approval. 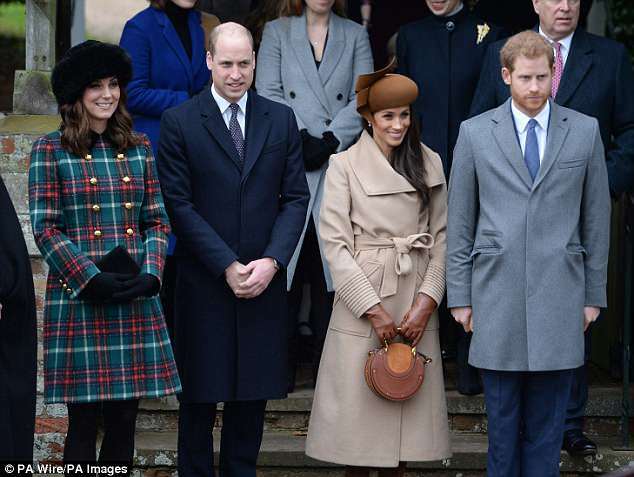 Its founder Bojana Sentaler, a 33-year-old mother of two, met Meghan when she visited the showroom in 2016 to check out her collection of Peruvian alpaca coats, jackets and pashminas. Although Kate and Canadian PM’s wife Sophie Gregoire Trudeau were already wearing her designs, Bojana says the Meghan Effect took things to a new level. The £1,000 Sentaler camel coat with its signature ribbed sleeves, which Meghan wore to church on Christmas Day, sold out in 24 hours. ‘I got up at 6 am [11 am UK time] for an early flight,’ Bojana explains. ‘My phone was buzzing like mad with messages. ‘I saw on Twitter that Meghan was wearing one of my designs. It was the best Christmas present ever! There’s no doubt about it: Meghan sells clothes. The £390 green fitted dress she wore for her BBC engagement interview, by Italian brand Parosh, was out of stock in under an hour. ‘Our ecommerce site crashed,’ says the firm’s Marta Maggi. ‘We restocked it a week later and it sold out again.’ Like Line, they renamed the dress The Meghan. Mackage, another Canadian outerwear label, experienced the Markle Sparkle last October when Meghan wore a £390 Mackage leather jacket at a low-key appearance with Harry at the Invictus Games. She chose the brand again for her first official royal engagement in Nottingham in December, wearing a £585 double-breasted navy blue coat. The £495 burgundy and blue midi tote by Scottish firm Strathberry, which she carried on the same day, took just 11 minutes to sell out. Within days, 3,500 shoppers signed up for stock updates. 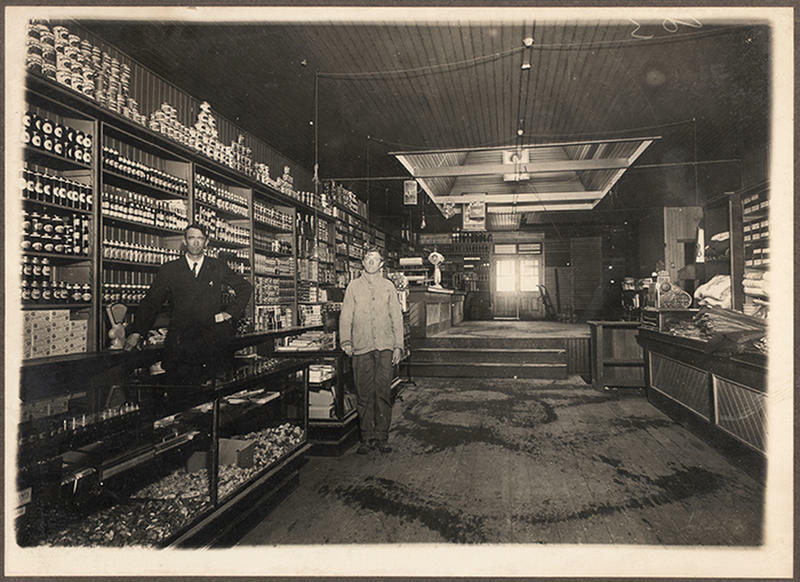 The first pre-order was sold within a day. Intriguingly, designers say they receive no warning Meghan is about to wear one of their pieces and send sales through the roof. ‘We never know — it’s always a surprise,’ explain Christie Smythe and Andrea Lenczner, who set up Smythe, one of her favourite labels. Of all the brands Meghan supports, Smythe has seen the huge difference in her selling power as an actress and soon-to-be royal. When Meghan first wore their £560 Brando coat in 2015, on the Suits set, few people took much notice. But when the coat appeared for a second time, on a royal walkabout in South London in January, all stocks were gone in six hours. With just 12 days to the royal wedding, it’s anyone’s guess how quickly her look will sell out once she has the ring on her finger. Our ecommerce site crashed,’ says the firm’s Marta Maggi. ‘We restocked it a week later and it sold out again.’ Like Line, they renamed the dress The Meghan. Mackage, another Canadian outerwear label, experienced the Markle Sparkle last October when Meghan wore a £390 Mackage leather jacket at a low-key appearance with Harry at the Invictus Games. She chose the brand again for her first official royal engagement in Nottingham in December, wearing a navy blue £585 double-breasted coat. It’s no secret that Meghan Markle is an avid admirer of Princess Diana, Harry’s late mother, and comparisons between the pair are inevitable as she enters the royal fold. According to Andrew Morton, Diana’s biographer, she was ‘intrigued’ by the Princess of Wales and saw her as a ‘role model’. She even had a copy of Morton’s biography — Diana: Her True Story — on the bookshelf in her bedroom. Though charity-loving Meghan was no doubt inspired by Diana’s philanthropic work, she was in equal part captivated by her style — and a closer look at her wardrobe reveals striking comparisons. Like Diana, Meghan understands the importance of channelling subtle messages in her clothing — perhaps choosing fabrics which represent the place she’s visiting or which will resonate with the people she’s meeting. The pair also share a penchant for off-the-shoulder looks. This style is a particularly apt representation of both women’s wardrobes, delicately treading a line between regal and risqué — and it goes some way to explaining why Meghan appears to be copying so many of Diana’s choices. Like Diana, Meghan is opinionated, wilful and has a personality and a sense of style which are very much her own. Maintaining this, while looking every inch the perfect princess, is important to Meghan — and where better to look for inspiration than the ultimate royal fashion icon? It’s a masterful move for the royal newcomer, allowing her to look the part and pay her respects to the mother-in-law she will never meet.